Renting out your apartment or home in New York City is a popular but contentious enterprise especially if you use Airbnb. You may now face a steep fine of up to $7,500 thanks to the legislature and governor who are trying to crack down on what they consider illegal apartments by giving teeth to an older law on the books. They claim that illegal hotels are removing affordable apartments that could be rented, thereby driving up the cost of rent in the city. However, they have little evidence that Airbnb is the cause of there being fewer affordable rentals. They point to a 2015 report by two New York affordable housing non-profits that found that Airbnb hosts who rented out their entire apartments for at least three months of the year took roughly 10 percent of the city's available rental units off the market. In essence, they claim that because A leads to be B and B leads to C, then A leads to C, but that’s a fluffy argument. However, Airbnb currently has 41,000 listings in New York City and this just over one percent of the three million housing units in the city. There’s no way that one percent of rentals could impact pricing that much, as the folks at Reason explain. This is not about affordable housing in New York, but slowing down competition against the hotel industry. Rentals on Airbnb offer visitors to the Big Apple more affordable options during their stay, and the hotel industry hates it. How do we know? They’ve said so. [W]e are optimistic that they will do the right thing and enforce what is already in the books as the illegal activity. And if that does happen, then I think you will see [that it will] allow us the [the elimination of the] shadow supply in New York City, which should be a big boost in the arm for the business, certainly in terms of the pricing. 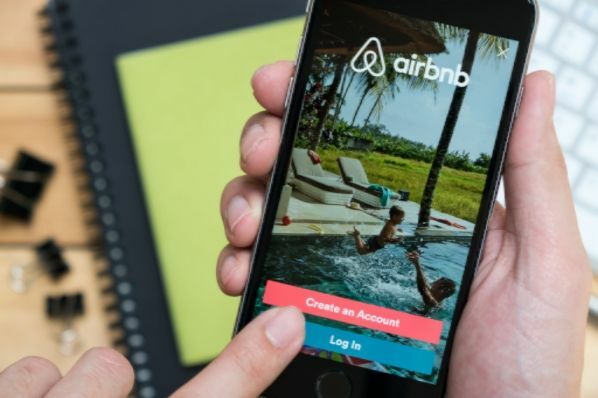 "They say a gaffe is unintentionally saying what you really believe - and the latest gaffe from the hotel cartel makes it clear that the New York bill was all about protecting the hotel industry's bottom line,” said Airbnb’s public affairs director, Nick Papas. "Albany back-room dealing rewarded the price-gouging hotel industry and middle class families will pay the price." This comes at a critical moment. After New York’s Governor Andrew Cuomo signed into law stringent fines on Airbnb renters who list their apartments for fewer than 30 days in multiunit buildings, Airbnb filed a lawsuit in Manhattan federal court. Airbnb argued that it could not be held responsible for how renters use its platforms. There currently is a 2010 law on the books against illegals hotels, which New York is considering some Airbnb listings. The latest fines of up to $7,500 would be applied to those who break the 2010 law. Airbnb contends that the fines don’t apply to those how rent out their house or share an apartment with guests. Furthermore, they think New York’s law conflicts with federal law as the Wall Street Journal explains. Now it appears, the state and Airbnb are in negotiations to resolve the lawsuit. This drama plays on, but what we as consumers should take away is that entrenched interests never like real market competition. They want to maintain business as usual, where they can charge customers anything they want knowing that other businesses are doing the same. When something like Uber or Airbnb comes along and challenges that delicate balance, they would rather shut it down the competition than adjust their prices.